Piaggio owned Aprilia will soon launch a stylish gearless scooter – SR150 in India. The scooter will be launched next month with a competitive price tag of only Rs. 65,000 (ex-showroom). Piaggio wants to tap the scooter market in India that is one of the world’s largest markets with over five million units sold in 2015. The company is already present in the lifestyle scooter segment with the Vespa brand. The scooter will be aimed at the young riders that will offer style and performance of a sports bike and comfort of a scooter. Sharp lines across the body of the scooter make it very aggressive and sporty. It also gets 14-inch blacked out alloy wheels adding to the sporty character. The 150cc engine is the same one that is available with the Vespa 150. The 150cc single cylinder engine with 3-valves produces a maximum power of 11.44 Bhp and 11.5 Nm of maximum torque. The aggressive pricing could be made possible because the scooter is being built in India. The Aprilia SR150 will come out of Piaggio’s Baramati plant in Pune that also produces the Vespa models. There are no other 150cc scooters available in India at the moment. 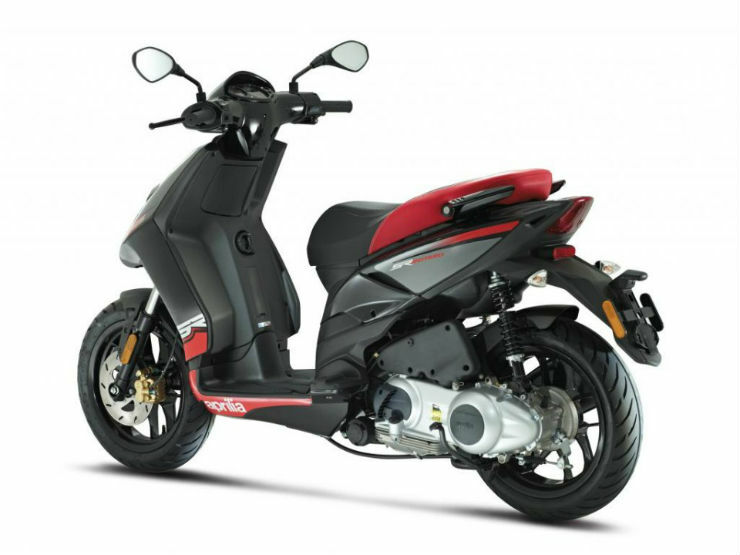 The Aprilia SR150 will give customers a great choice who want comfort, convenience, and power but have to choose the motorcycles because of the unavailability of such a product.